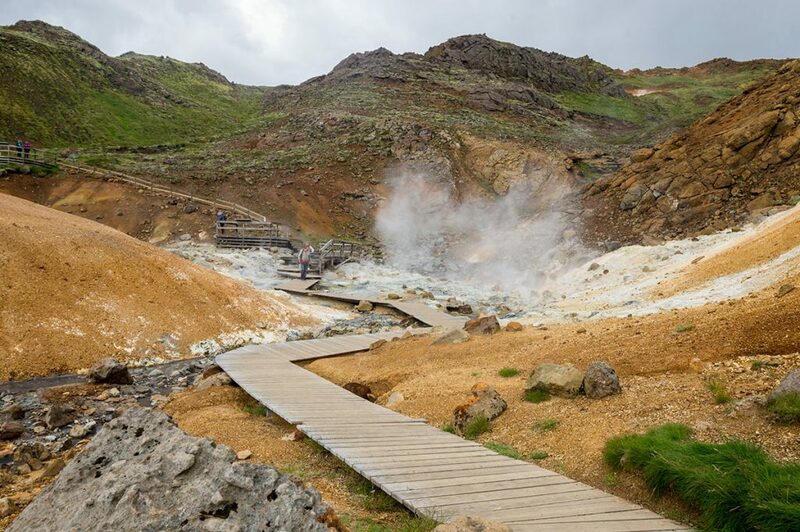 You can look or and find the Krýsuvík-Seltún geothermal at the Reykjanes peninsula. 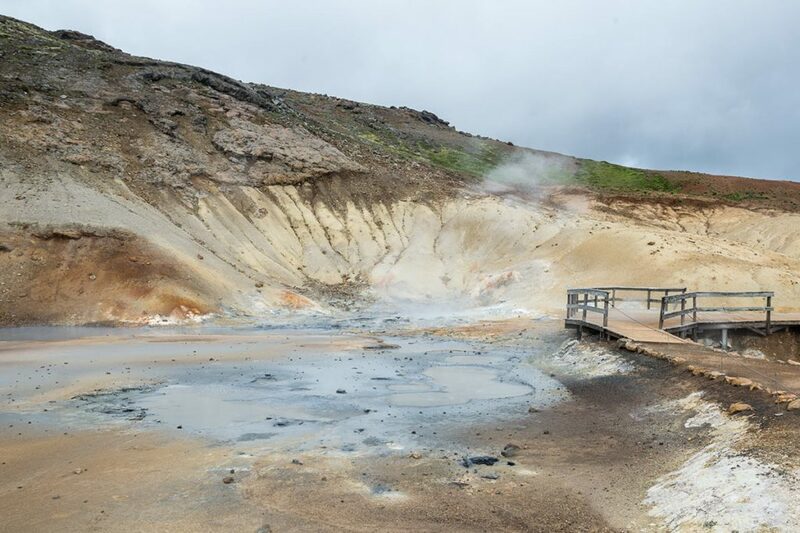 If you are about to land at the Keflavík international airport, Krýsuvík-Seltún can be the first geothermal area you can encounter in Iceland. 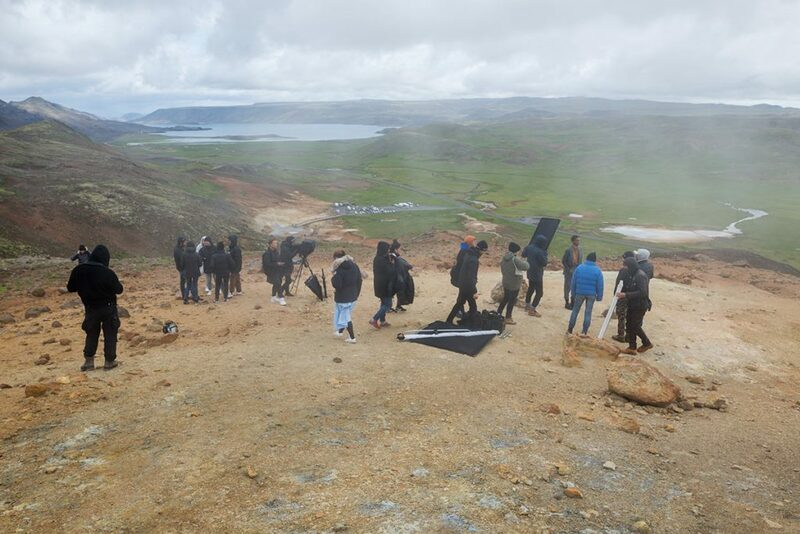 And if you are lucky, you can find a filming crew of the TV saga – Game of Thrones. Enjoy! 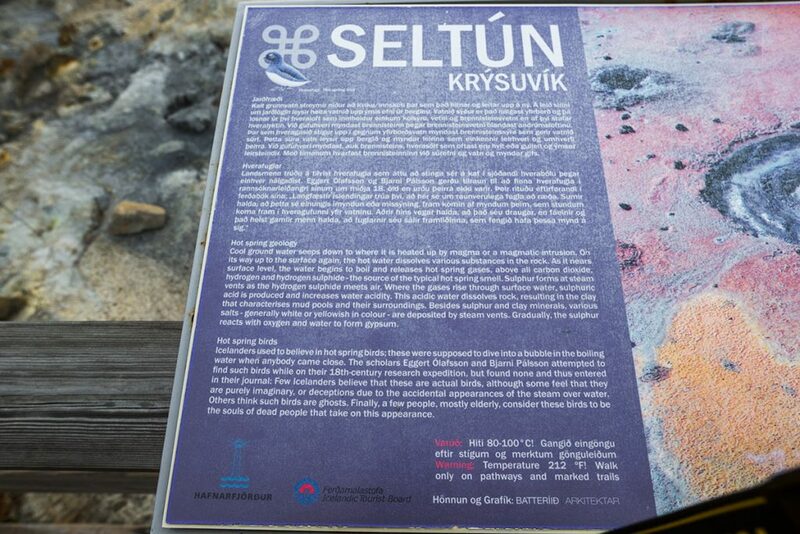 Seltún-Krýsuvík is situated next to the road nr. 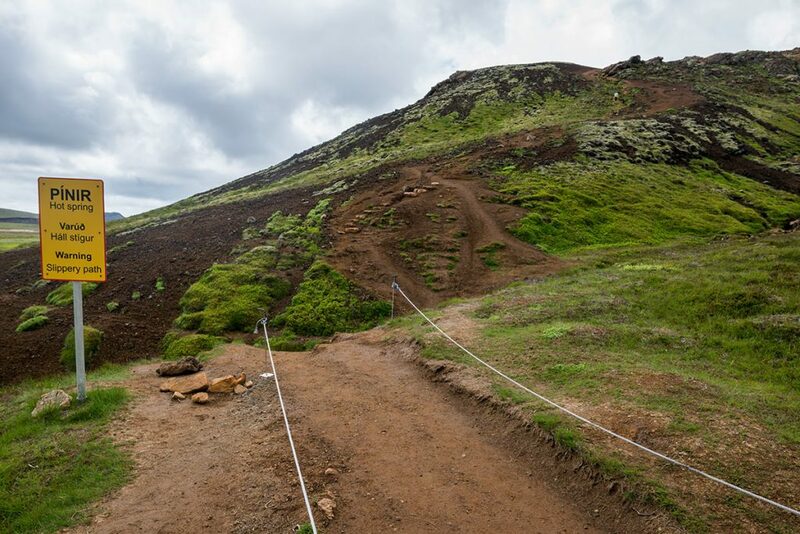 42, which connects Reykjavík and the South Coast. 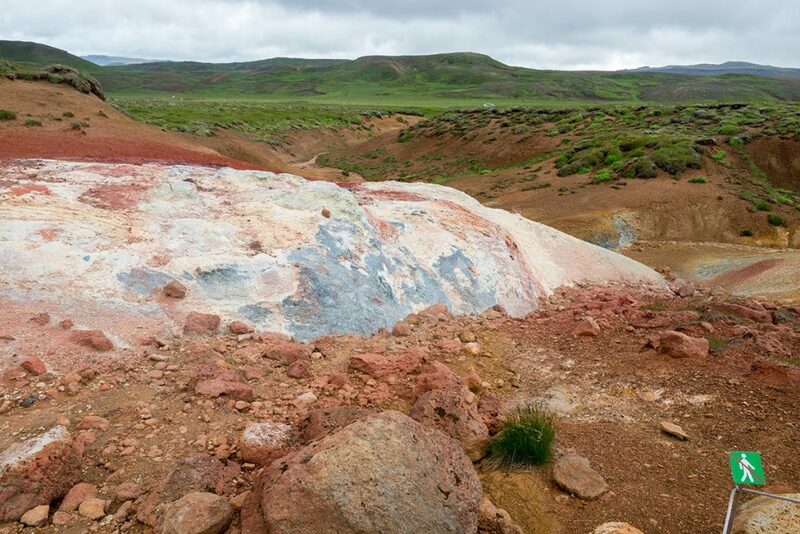 Just park your car at this parking lot and enjoy the fleeting mother Earth. 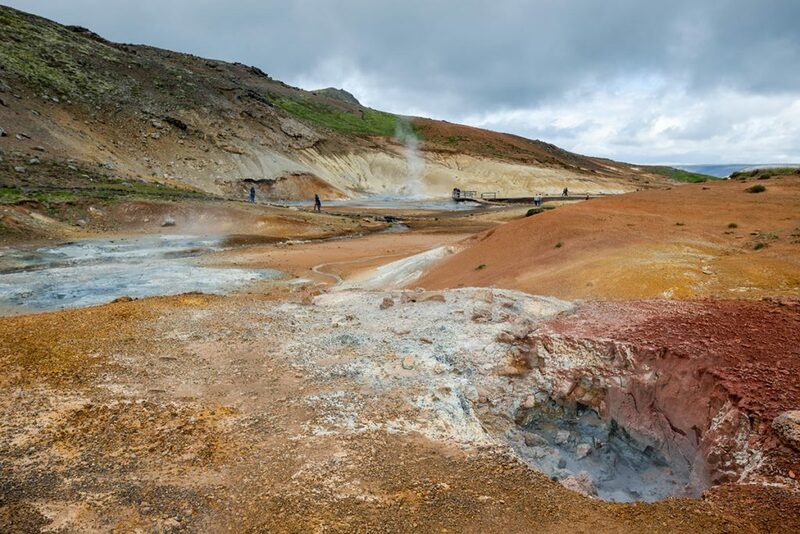 GPS coordinates of the Seltún-Krýsuvík geothermal area: 63.895847, -22.053195 Take me there!